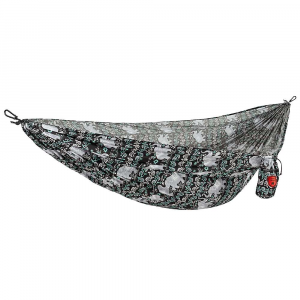 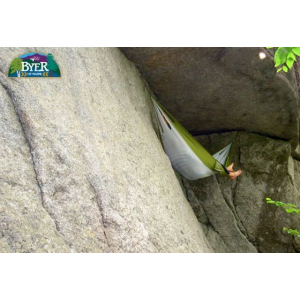 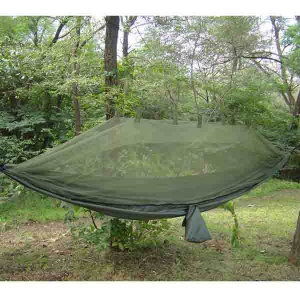 SnugPak Camp & Hike Jungle Hammock With Mosquito Net 61660. 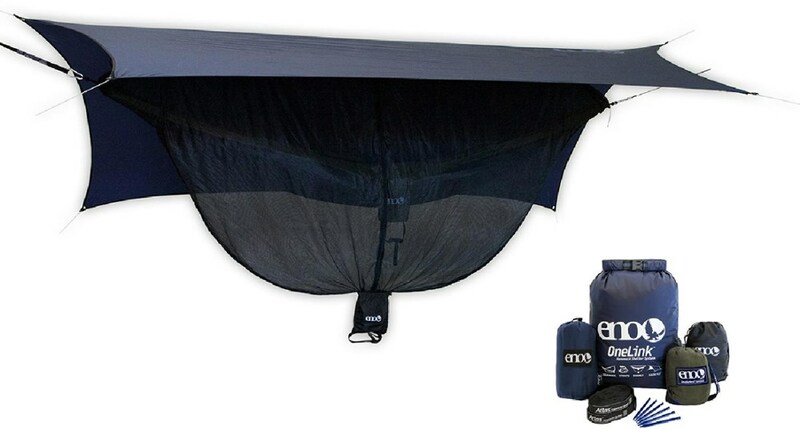 This Jungle Hammock comes with mosquito netting built right into the overall product. 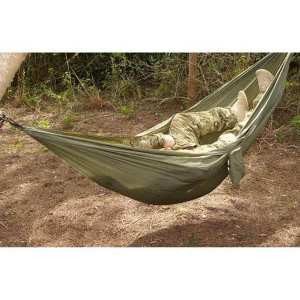 Its great for those looking for a simple solution when out in about in the woods or jungles. 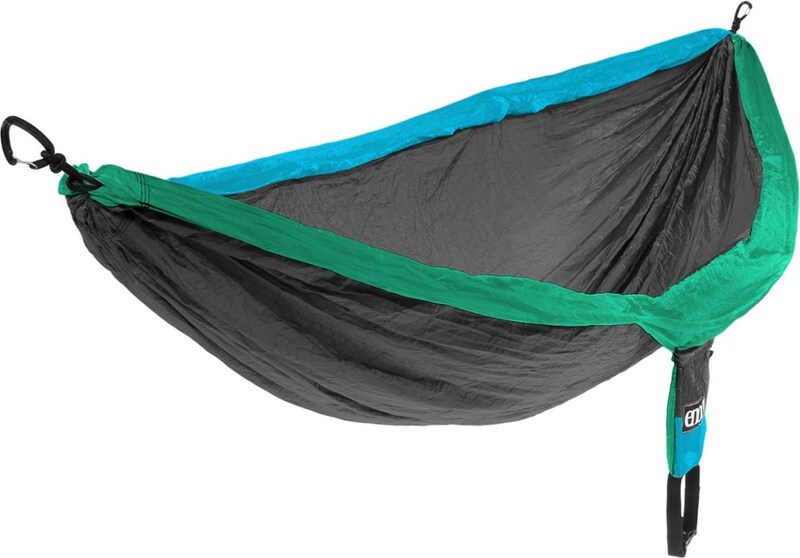 The Jungle Hammock with Mosquito Net comes with 4 pieces of 10 foot long guy ropes as well as a suspension attachment system. 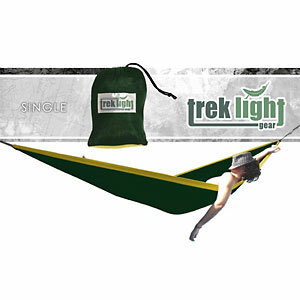 Comes with two steel carabiners for attaching to the suspension attachment system.